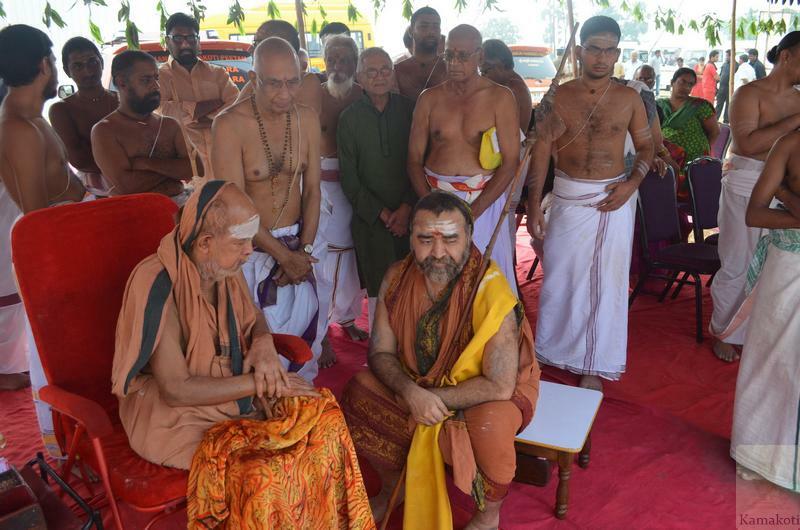 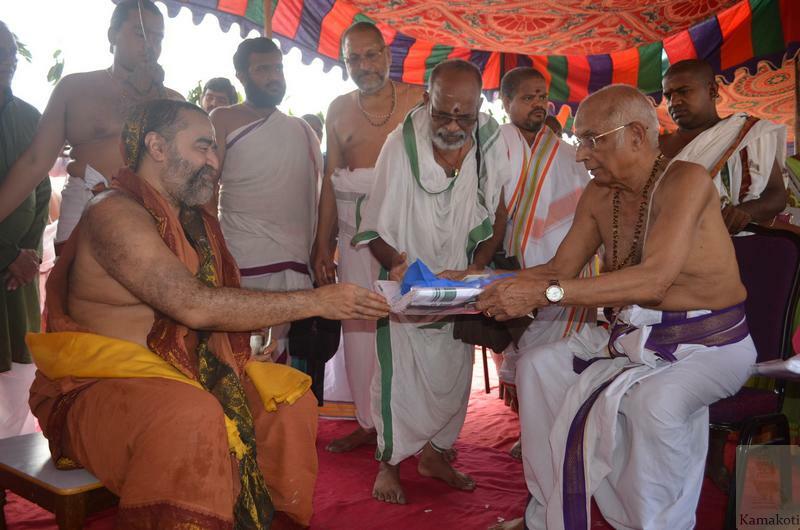 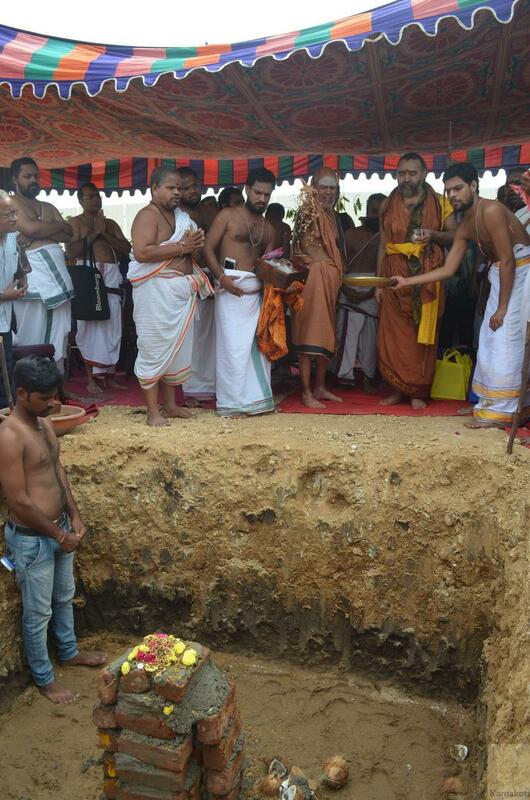 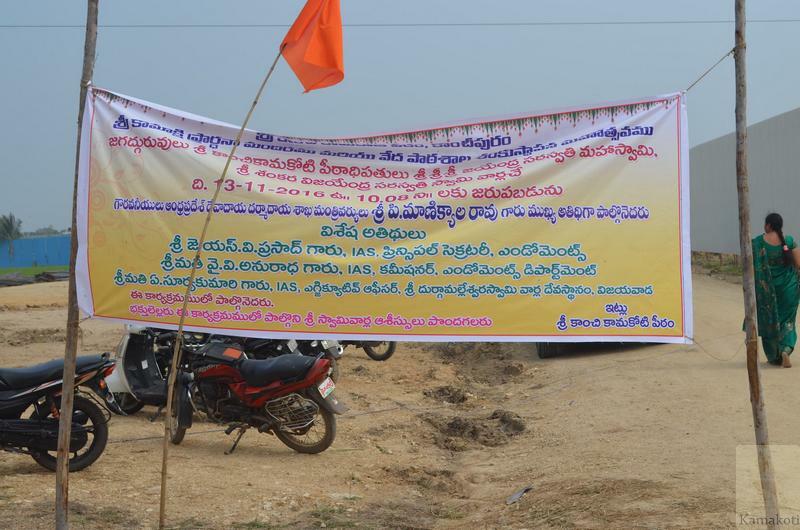 His Holiness Pujya Shri Jayendra Saraswathi Shankaracharya Swamigal & His Holiness Pujya Shri Shankara Vijayendra Saraswathi Shankaracharya Swamigal performed Shanku Sthapanam at the newly allotted land of 4 acres by Endowments Department of Andhra Pradesh Govt to construct a branch of Shri Kanchi Kamakoti Peetham in the new capital of Amaravathi. 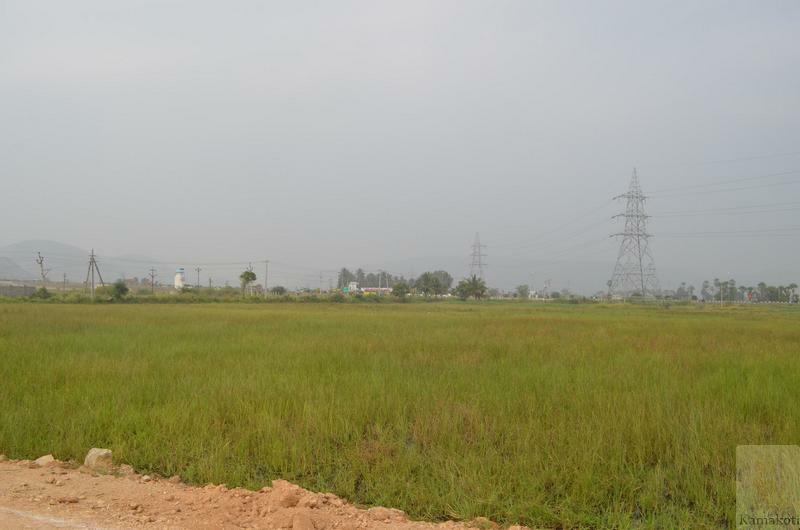 The department has promolugated a GO for the allotment for a period of 33 years with a nominal rent per annum. 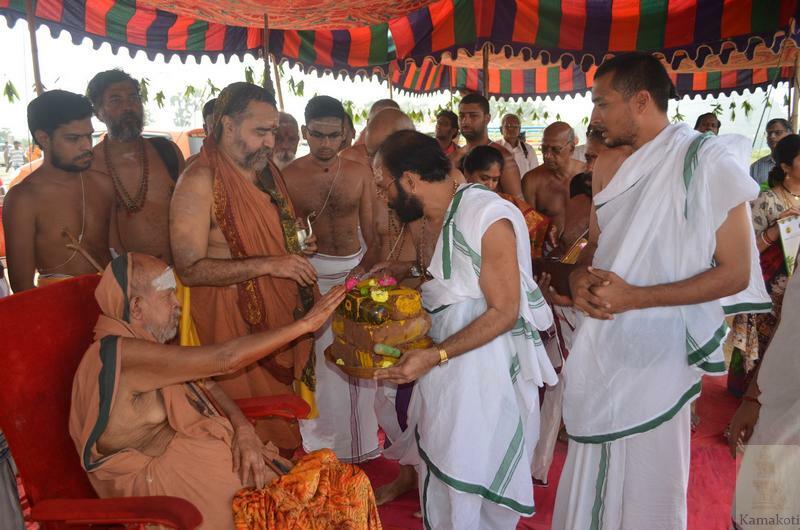 The Shanku Sthapanam was held in the divine presence of Their Holiness. 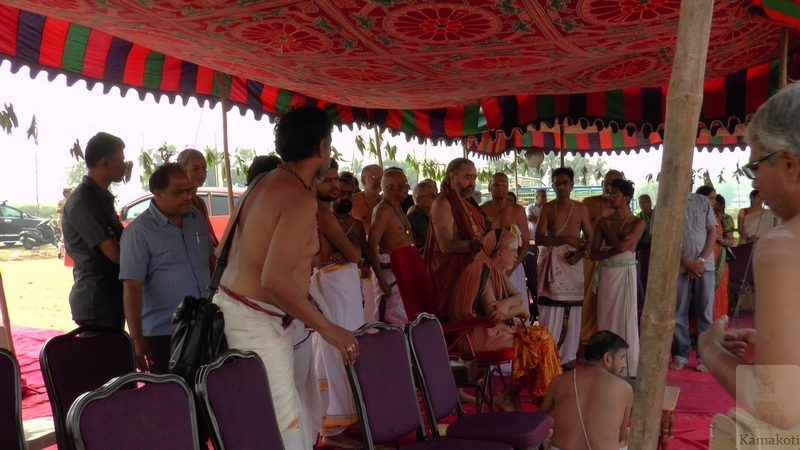 Shri JSV Prasad, IAS, Principal Secretary Endowments Dept, Govt of AP, Smt Surya Kumari,IAS, EO of Kanakadurga Ammavari Temple and many important dignitaries from Guntur & Vijayawada attended the function. 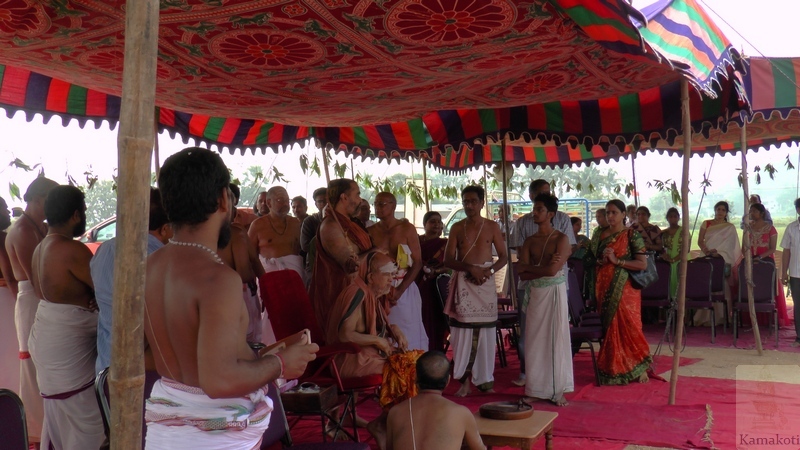 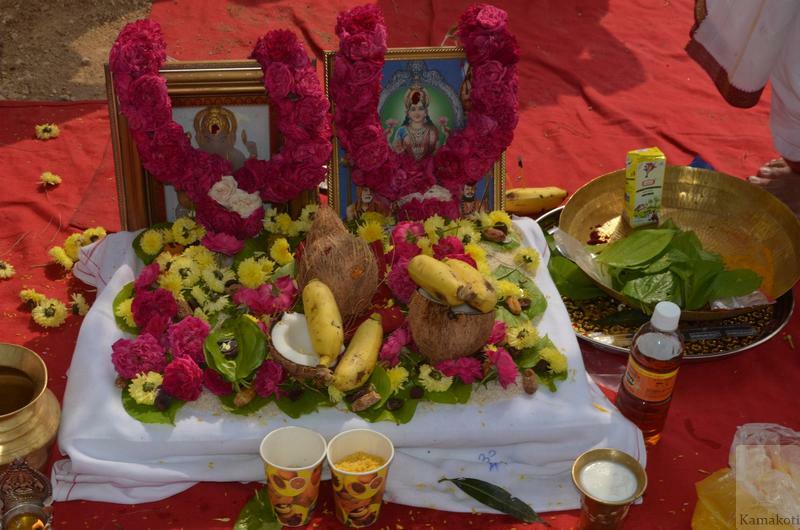 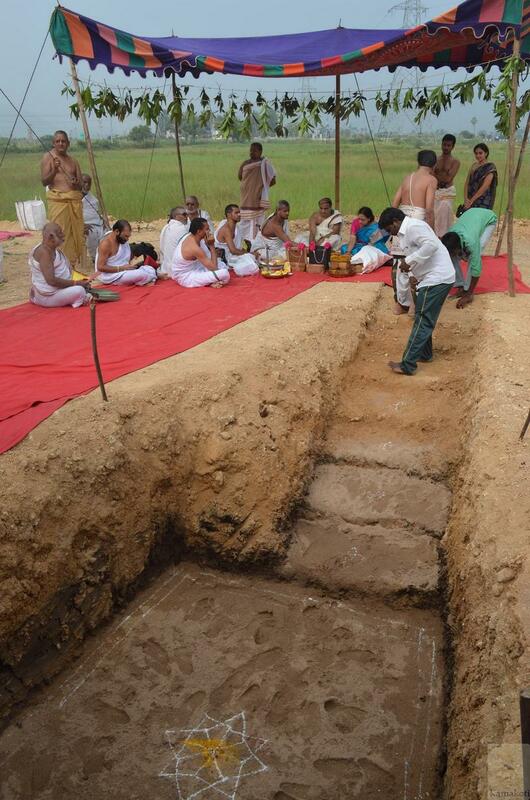 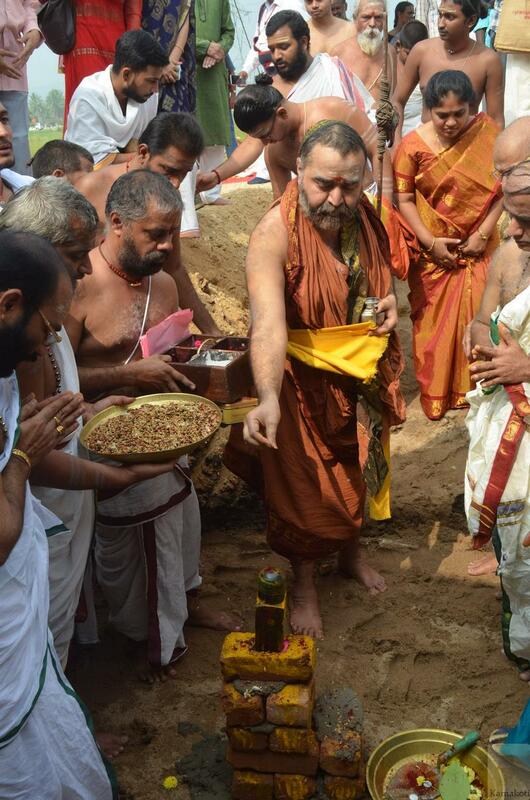 Amidst chanting of Mantas, Vaidik brahmins performed the Shanku sthapanam in the north east corner of the plot. 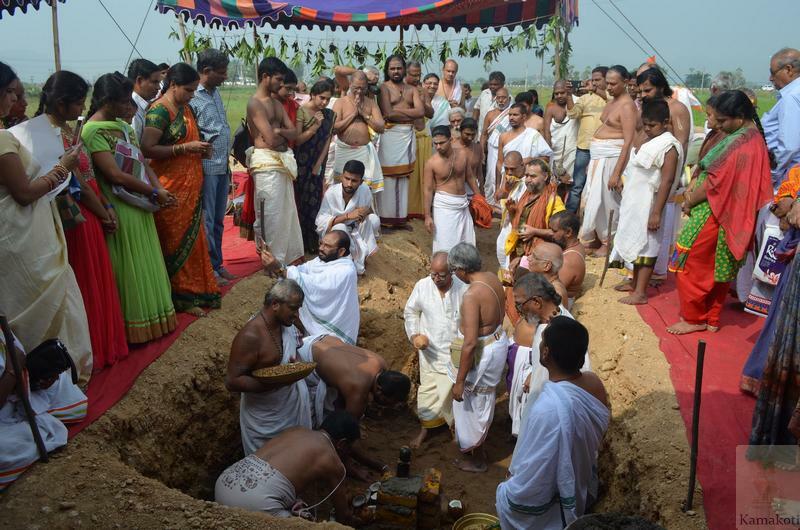 Chandramouleeshwara Swamy Puja Mandapam, Kuteerams for Their Holiness, Yatri Nivas, Goshala, Veda Pathashala, Adhyapak Quarters, Annadana Shala, Kalyana Vedika, Administrative building, Library & Publication unit, Workers quarters are being proposed in the newly acquired land.